Though this has to be one of the weirdest album covers we've seen, don't judge an album by the seemingly Normal Rockwell inspired cover. 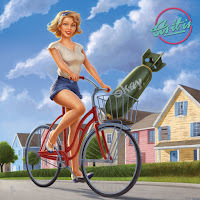 A year and a half after their debut, As It Is are back on the scene with their sophomore effort, "okay.". A more mature outing for this young band, that still holds all the charm of their debut. It's "okay" and more. To buy "okay." on iTunes please click the following (link). A massive improvement on 2015's debut, "Never Happy Ever After", this is an example of a band who read the reviews, listened to the constructive critiques and then did something to make themselves better. Production was ramped up, and Ben Langford was given more moments to show off his singing chops. At the same time, Patty Walters' voice loses some of that "whiney" tone that made much of the band's debut unbearable. And one has to commend him on how he's matured into one of the strongest pop punk frontmen. If you can honestly say you've been to one of As It Is' concerts, and didn't get the urge to jump and sing along then you should make sure you don't have a brain tumor. The album's opening song, and lead single "Pretty Little Distance", is a perfect example of the bands more mature edge. The chorus is still bouncy and fun, but the verses are more restrained. Much like a New Found Glory track, or All Time Low during their "Nothing Personal" era. A palm muted riff coupled with those ever popular "Whoas" makes this a must listen track. It's an earworm. Dual vocals from Patty Walters and Ben in the bridge gives it that classic pop punk feel. The "cute" guitar solo pushes the song to the next level. The first half of the album still follows the pop punk blueprint. Bright intro, quiet verses, explosive chorus, quiet bridge, and "one last hoorah" final chorus. But as said before, it's the execution that counts. As It Is give us a polished, organized effort. Sometimes songs can get muddled, and repetitive, "Okay" and "Hey Rachel" feel like extensions of each other. But then the second half showcases the band's darker side. The album is filled with surprises like the slower, darker "Curtains Close" and the more punk oriented, but equally dark "No Way Out". There's enough variety to keep you interested, but enough familiarity to keep the most die-hard pop punk fans coming back for more. Bass guitarist Alistair Testo is given the reins for the bulk of the verses of the following songs: "No Way Out", "Soap" and "Austen". The band dive into a heavy sound for "No Way Out" and "Soap". The latter is more rhythmic with the bass driving much of the verses. It's different from previous material, and shows how the band have branched out. But the former of the two is the one you should listen to. "No Way Out" is definitely a standout for the otherwise strictly pop punk album. The harder edge, and darker tone is a route the band should pursue in the future. The deep bass line during the bridge, and the almost unclean vocals make this an extremely pleasant surprise. It could have gone terribly wrong, but the band pulled it off. Ben is again given more chances to provide his grittier vocals to the mix, and his voice suits both songs perfectly. And if you're not a fan of the heavier songs, don't worry. "Until I Return" brings the album back into familiar pop punk territory. 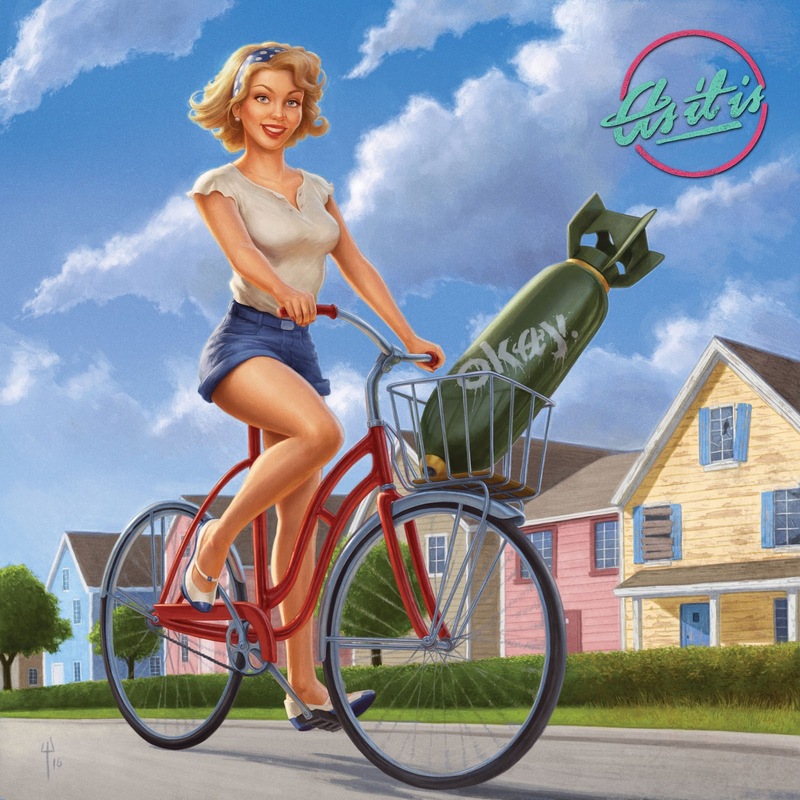 Equal parts of easy listen, and a maturer route on their brand of pop punk. They band still have a lot of growing to do, but they're young and they can get away with this sort of "cute, thirteen year old girl-bedroom music" right now. Bottom line, it's all just a good time. And right now, it's exactly what we need. Recommended for fans of The All American Rejects, State Champs and All Time Low. "Pretty Little Distance", "No Way Out", "Until I Return" and "Still Remembering"